This, then, is a short review of Sifteo cubes and my own attempt to work out, for myself and for my colleagues (especially those involved in the Teaching with Technology Seminar sponsored by ASSETT), whether these cubes are might be a productive addition to an undergraduate class on digital media or even a literature class on electronic literature. But, I should be clear: this review is in the context of the classes I’m teaching right now that reflect my own (rather unconventional) research interests. While more and more I’m becoming interested in old media, analog media, as well as the history of computing, one reason I’m housed in an English literature department is because of my interest in e-literature with an emphasis on digital poetry. By “digital poetry” I generally mean a work that is ‘digital born,’ a first-generation digital object created on a computer and (usually) meant to be read on a computer. Whether or not the text is “poetry” more often than not depends on what critical apparatus you decide to bring to the work—many of the digital works I’m interested could be classified as fiction or visual art as easily as they could be poetry; I’ve found that once text enters the digital, genre distinctions start to break down. In the undergraduate course I teach on digital poetry, I’ve come up with four broad conceptual categories by which to help students think about digital poems: 1) digital poetry that brings us to the absolute limits of interpretation; 2) the historical underpinnings of digital poetry (including units on how Dada, Futurism, and Concrete Poetry have influenced digital poetry); 3) the lineage of computer-generated poetry that spans the 1950s to the present day – or, basically, the use of algorithms to generate text; 4) and reading/writing poetry interfaces from the 21st back to the early 20th century. In terms of the latter, I try to teach my students to see how digital poems draw our attention to their interface, usually through an interface that’s difficult to navigate that in turn helps make writing interfaces less transparent; in contrast to the rhetoric around every new multi-touch or gestural interface that touts how its interface “just disappears! it’s completely ‘natural’ and ‘intuitive'”, I try to get my students to think about what it means for an interface to be invisible or natural – just whose intuition is driving this interface? Also, and more importantly, I feel strongly that the more invisible an interface becomes the less access we have to making things outside of ready-made software and the less access we have to understanding what’s going on underneath the hood. As such, we also look at how these digital poems have been constructed—what software has been used or hacked to create these word objects? What can we learn from studying these works at the level of the code? The second course I frequently teach is called “Introduction to Digital Media for Humanities” which serves as a humanities-based introduction to digital media structures such as the digital archive and reading/writing software that fundamentally affects what we ourselves are able to read/write; theories and methodologies for under-taking digital media scholarship in the humanities; and, finally, digital textualities ranging from text messaging, blogging, and games to digital fiction and poetry. Ideally, this course gives students the critical skills they need to understand and navigate a 21st century world in which digital media govern the storage, transmission and reception of a whole range of textual material. Both classes have a distinct and recurring emphasis on doing and making a necessary adjunct to learning the course material; as such, at the end of the semester we have a “demo day” where students exhibit their own works of digital poetry or digital textuality they create in response to the texts we study in class. The point of this assignment is not to impress the class with technical skills – the point is to engage as fully as possible in thinking about how you create affects what you’ve created; in other words, to enact a kind of study or critique of software and how it shapes creative production through doing. This means too that I don’t need students to learn Flash or Actionscript as there are plenty of ways they can “hack” powerpoint or keynote or Prezi to create compelling digital texts. To slowly move to a discussion of Sifteo cubes, the nature of the final project also means I’m always on the look-out for interesting, new tech to use for this assignment – but there are some restrictions: 1) the tech needs to be somewhat easily accessible (as students have only about 3 weeks to complete the assignment); 2) the tech needs to be free or cheap or easy for me to share with my students; 3) the tech needs to have a textual, ideally literary, potential so that students can learn about how language operates in a digital environment. I can usually find tech that satisfies two out of 3 of these requirements and, in this way, Sifteo cubes are no exception. There are three games available at the moment that (arguably) include textual elements or just elements that are conceivably related to the two courses I outline above: LoopLoop, Wordplay, and Chroma Shuffle. All three games teach students individual components of what goes into creating a digital poem or even just net art. LoopLoop is about the art of the remix: so much of digital poetry/net art remixes from other sources – pulls from source texts, music, visuals to rearrange; instead of framing remix as plagiarism or laziness (“you didn’t make that yourself!”), this game consists of small music samples and beats you can layer and combine and so it demos how choosing/editing/curation is an art in itself. Wordplay is about the art of the combinatorial: many digital poems are based on the art of viewing language and words as material bits that can be re-combined to form new material bits; it’s another form of remix that takes place at the level of the letter rather than the sentence or the work of art/music as a whole. Chroma Shuffle is about the art of the game: many works of net art/digital poetry have been heavily influenced by games/gaming and as a result turns reading into playing/interacting which in turn requires an organized awareness of objects in the space – or spatial visualization. Hopefully, given my description of these three Sifteo games, their appeal is obvious. However, there are a few drawbacks: aside from the price tag (a set of three cubes with the charger dock costs about $150 on Amazon.com which makes them prohibitively expensive for most students), they are fantastic to consume which is also the problem – they seem to strongly encourage a passive acceptance of the interface and they discourage users from thinking about how the cubes work and from creating outside of the ready-made environment. I haven’t yet thought of a way to “hack” the Sifteo Cubes to make them do things they might not have been intended to do – like make digital poems. There is indeed a software developers kit but it requires that you know the programming language C. There is also a Creativity Kit which does allow you to change some of what you might call the “vocabulary” of the games (the letters and words) but only allows limited changes to the grammar – the underlying structure – of the games. All this said: despite the downsides I mention above, if there’s a way for an institution to provide access to Sifteo cubes without saddling students with an additional expense, my sense is that these cubes are still well worth experimenting with in the classroom. I can’t help but endorse any piece of technology that grabs students as much as these cubes and impels them to learn and create. Makes me want to try messing around with these. Have you played with Sphero: https://www.amazon.com/dp/B005ONTD42/ref=as_li_ss_til?tag=posthuman-20&camp=0&creative=0&linkCode=as4&creativeASIN=B005ONTD42&adid=13CK28557A51XFX7YGE7&amp;. That’s the other thing I want to try. Oh my…no, I haven’t heard of Sphero until just now – can you tell me anything about them? I’m enamoured just by the picture and description on Amazon. Love the concept of these cubes! They are great fun for the whole family and it is good to see something innovative come along. 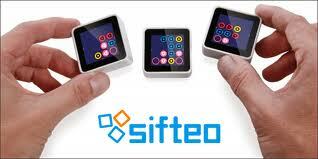 I was intrigued from the TED Talk of Sifteo / Siftables! Do you still have these, or the apps/games? I’m trying to resurrect interest in this historic milestone of gaming. I believe we still have the cubes in the Media Archaeology Lab – I haven’t used them in a long time but they were fun for awhile! I wonder if you could check if they have any of the software or games? These were all made free for a while, until the servers shut down in Summer 2015, when the company was sold to 3D Robotics. I am trying to create an archive of the product by working with any/all of the old developers. People who worked with the original cubes are rarer, and harder to get hold of. What were your experiences with Sifteos? Ahead of their time? Not quite there? I’d love to know.